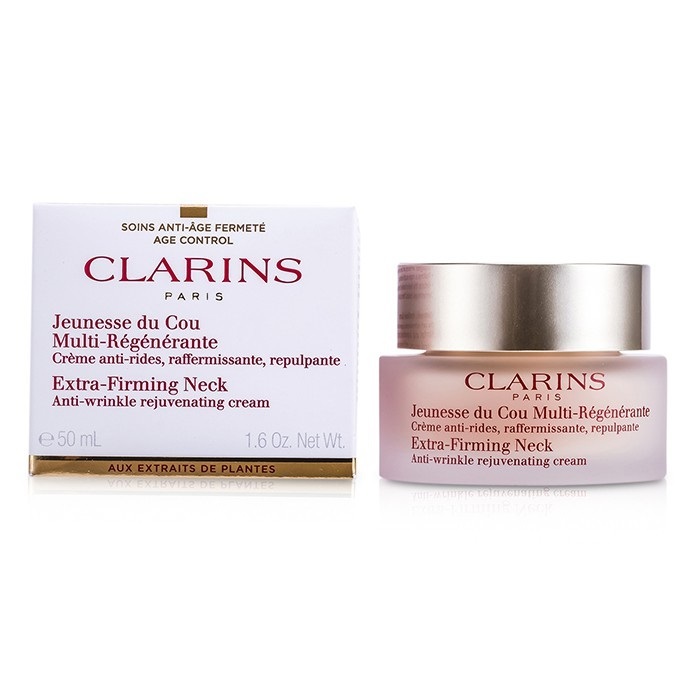 Clarins Extra Firming Neck Anti-Wrinkle Rejuvenating Cream is a non-oily, lightweight neck firming cream. It smoothes and tones the neck. Anti-wrinkle, firming and lifting neck firming cream for a younger, smoother and more toned neck. A non-oily, lightweight neck firming cream containing powerful green seaweed extracts and sunflower auxins, combined with Clarins patented Extra-Firming Complex to soften, smooth and firm the neck and décolleté.